You may have noticed a few articles in our pages about the development of Los Angeles' long underexploited street, Broadway, which is experiencing a phenomenal resurgence. Now it's time to take a look at the progress made so far. 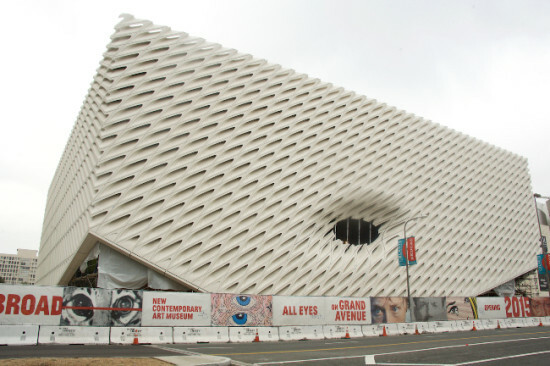 This Sunday, June 29, AN is co-organizing a (second) tour of the thoroughfare with the A+D Museum, guided by AN West Coast Editor Sam Lubell and LA institution Mike the Poet. 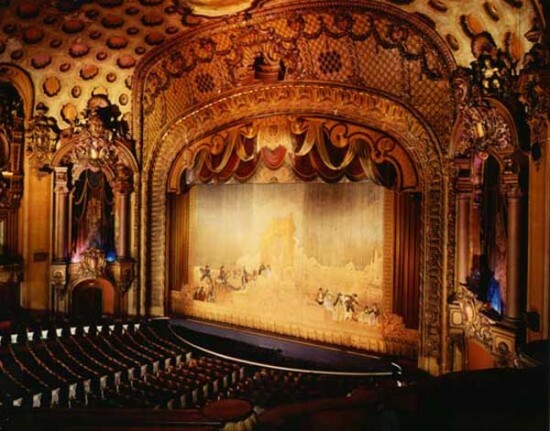 The event will stop at some of Broadway's greatest architectural treasures—including the Bradbury Building, the Los Angeles and Rialto Theaters, the Wurlitzer Building, and the Herald-Examiner— and it will look at its future, including revamped and widened sidewalks, new towers and businesses, and even a streetcar. Tickets range from $5 to $20 and are available from the A+D Museum. 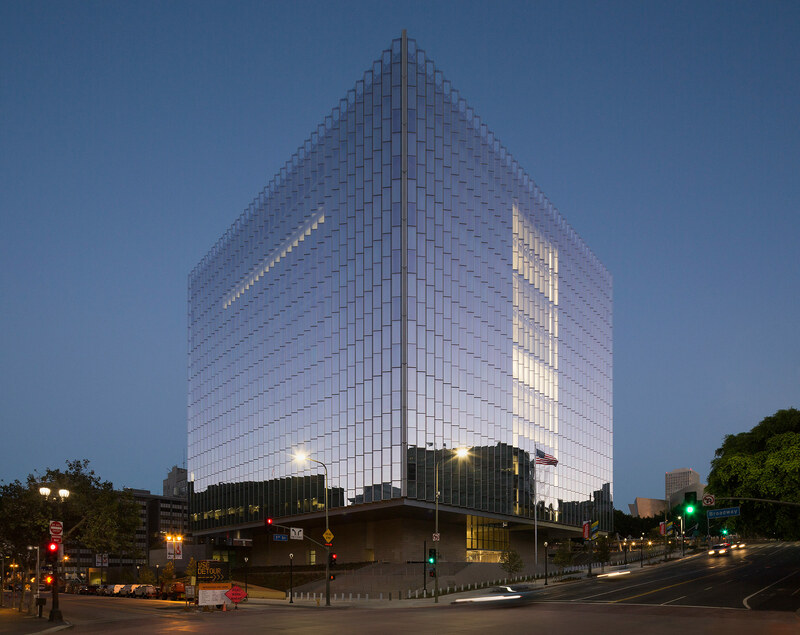 AN has been anxiously awaiting official news of an architect for Los Angeles' long-awaited Downtown Federal Courthouse, and we've picked up the scent of a promising rumor. Brigham Young's DTLA Rising blog has heard from a "source at a large architectural and design firm in Downtown LA" that SOM has won the commission, beating out a short list of teams including Yazdani Studio and Gruen Associates, Brooks + Scarpa and HMC Architects, and NBBJ Architects. The new $322 million courthouse will be located on a 3.7-acre lot in Downtown LA at 107 South Broadway and will contain 600,000 square feet incuding 24 court rooms. The General Services Administration (GSA), the federal agency in charge of building the new courthouse, hopes to have the project completed by 2016. The former art-deco courthouse at 312 North Spring Street will be sold to help pay for the new structure, drawing criticism from some politicians. The GSA is expected to make an official announcement soon, and we'll be sure to keep you updated as news comes in. 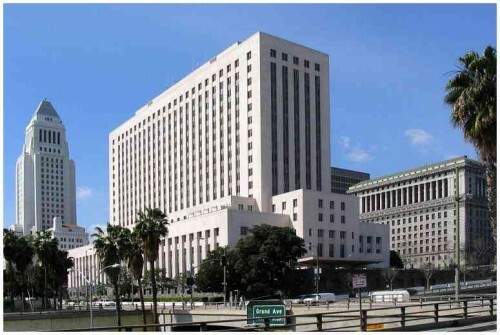 Two congressmen really seem to have it in for the planned new U.S. courthouse and federal building in downtown Los Angeles, for which several prominent LA firms have been shortlisted. According to the LA Times, California Representative Jeff Denham earlier this month called the proposal a "sham," insisting that the judiciary should be able to share courtrooms more efficiently at their current spaces (there are currently two federal courthouses downtown). "I get it, I know these judges would love to have a much bigger, palatial courtroom with lots of extra room and big conference rooms," Denham said. "The question is, can we afford it?" Denham was joined by Pennsylvania Rep. Bill Shuster, who noted: "It's outrageous that judges insist upon having their own courtrooms when they don't use them, when they spend much of the time vacant." But according to the General Services Administration (GSA) the courthouse is still moving ahead as planned, and an architect should be named this fall. An RFQ for the federal building will be released this fall as well. The GSA is looking for a private sector developer to buy the Spring Street Courthouse in order to help pay for the latter project. Downturn? What downturn? 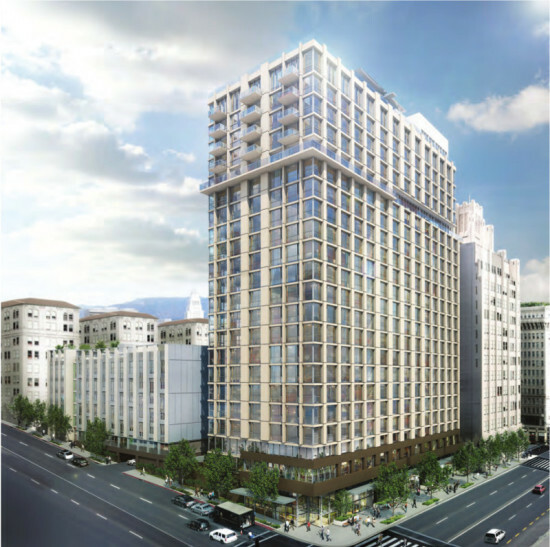 It looks like Downtown Los Angeles will get its first mixed-use development in some time when construction begins on the Eighth and Grand project on the south edge of downtown. 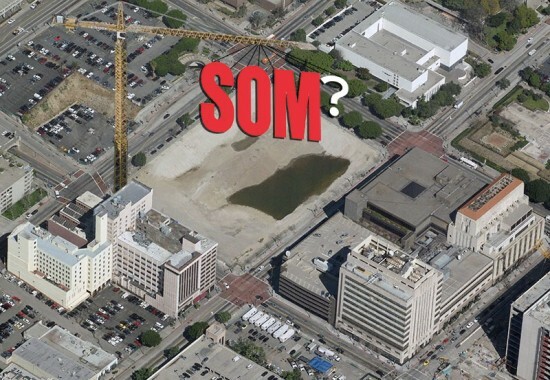 Developer Sonny Astani recently sold the land to limited liability corporation CPIVG8, who the LA Times says will probably start work “in the next couple months.” The $300 million building is set to have 700 residential units, a rooftop pool, 36,000 square feet of retail and nearly an acre of open space (and perhaps too many parking spaces: 737). 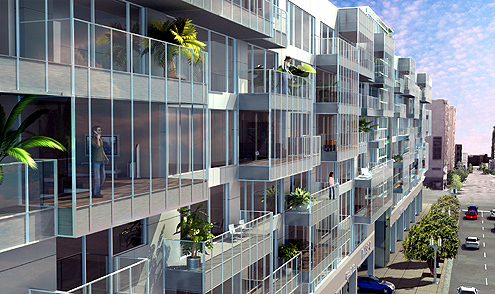 Renderings show a wavy glass, steel and concrete facade, but that design appears to still be schematic. In fact no architect has been mentioned in any story on the project and calls to the developer about an architect have not been returned. 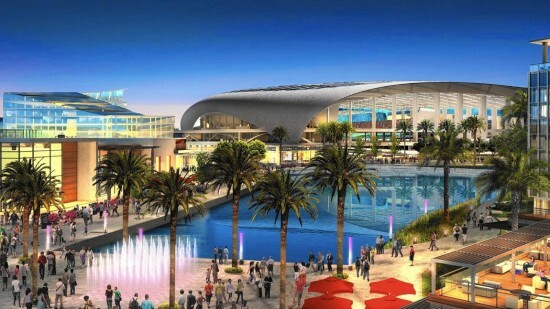 We'll keep you posted when a design and an architect are confirmed. The Japanese American Cultural & Community Center’s first annual spring festival, LA Bloom wrapped up on May 5, but late visitors to the Little Tokyo site in Downtown LA can still enjoy a piece of the festivities. LA Bloom’s centerpiece ecoartspace installation will remain up for a few extra weeks. 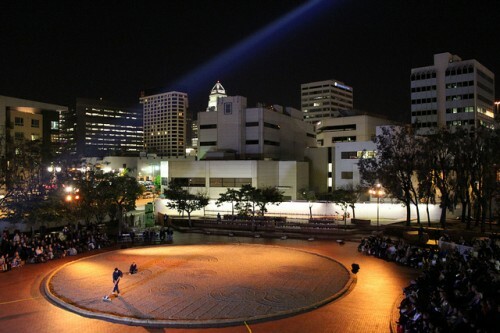 Using over five million pebbles, JACCC Artistic Director Hirokazu Kosaka and landscape architect Calvin Abe of AHBE created a large zen garden that, during the festival (along with thousands of feet of colorful thread) created a serene background for Kosaka’s evocative Mare Nubium performances. “It isn’t something that can be experienced through description. It would be like explaining what it's like to be present watching the original moon landing,” said Abe, for whom the space created a “profound existential experience.” Even without performances inside, visitors to the space will find themselves in a moment of contemplation. When faced with an incongruous paring of 27 tons of swirling gravel and a rainbow of thread, one immediately goes into a wondering mood. The accompanying Japanese flower arrangements at the Irvine Japanese Garden also serve to emphasize this question bubbling up from the installation. Underlying the ecoartspace was a philosophical process that borrowed from the Cherry Blossom Festival that inspired it. “The Japanese feel a deep communion and connection to the cherry blossom during the flower viewing months. When the petals fall from the trees, the Japanese see this as the transience of most things in life,” said Kosaka. Like everything else about the festival, the ecoartspace will soon be a thing of memory, so go see it while it lasts. 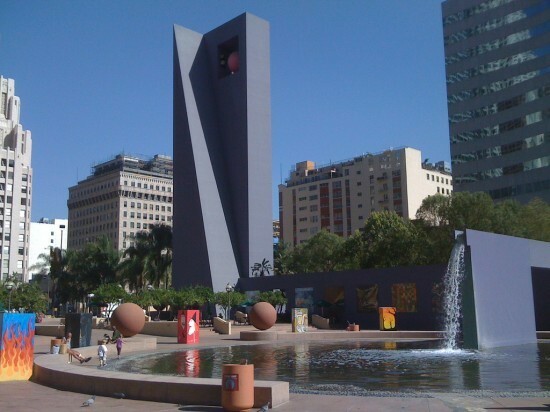 As we've noted, architecture giant Gensler is moving from Santa Monica to Downtown LA (a move that has seen its share of controversy lately thanks to the firm's city-provided subsidy). With the help of three talented students from Cal Poly San Luis Obispo's Professional Studio program, the firm has put together a video about their new 'hood. It documents Downtown's dramatic growth and change over the years, and offers predictions and suggestions for its future. 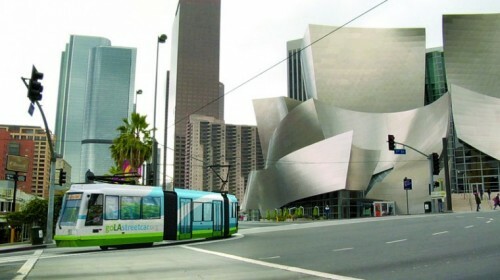 Downtown Los Angeles from tam thien tran on Vimeo. 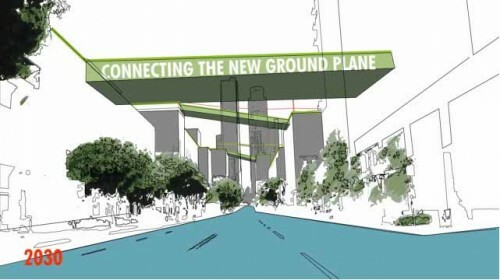 Their intriguing ideas include: putting parking on the periphery and closing the rest to cars; keeping production local; developing a new ground plane in the sky; and transferring cars' kinetic motion into energy. Wishful thinking, of course, but that's a good thing in a studio meant to be a "marriage between reality and mythology." The studio was led by Gensler Design Directors Shawn Gehle and Li Wen and the three students/filmmakers/visionaries were Sarah Fleming, Tam Thien Tran, and Toon Virochpoka.